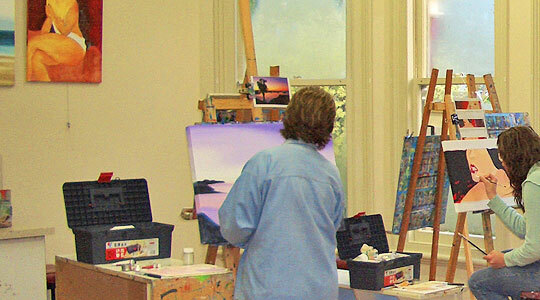 All your art requirements are available for purchase at Passion for Painting. New Zealand made canvases, imported Grumbacher oils and acrylic paints, brushes, pencils, mediums, etc. There is lots to know about them. At the moment there are cheap canvases everywhere! Most of these are made in Asia – not a slur, merely a matter of high humidity. When the wooden frames come to New Zealand, and especially Canterbury with its very dry atmosphere, the joints split and often the canvas will become unstable. The actual ‘canvas’ that is stretched onto these frames is often not canvas at all, but a poly/synthetic plastic-like fabric. If too much pressure is put on this, i.e. with pallet knife work or hard scrubby-like brush work, the ‘canvas’ can be pushed permanently out of shape. Even a knock can make a saggy dent that will stay there. Stretched canvases are made in two parts – one is the frame the other the canvas that is stretched over the frame. Strength and stability in a frame is very important. The frame should be made from mature dry laminated timber to improve its strength. 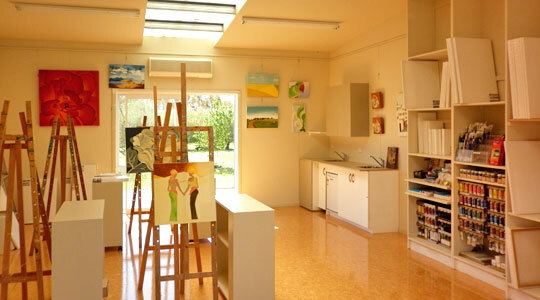 At Passion for Painting we sell only good quality New Zealand made canvases.